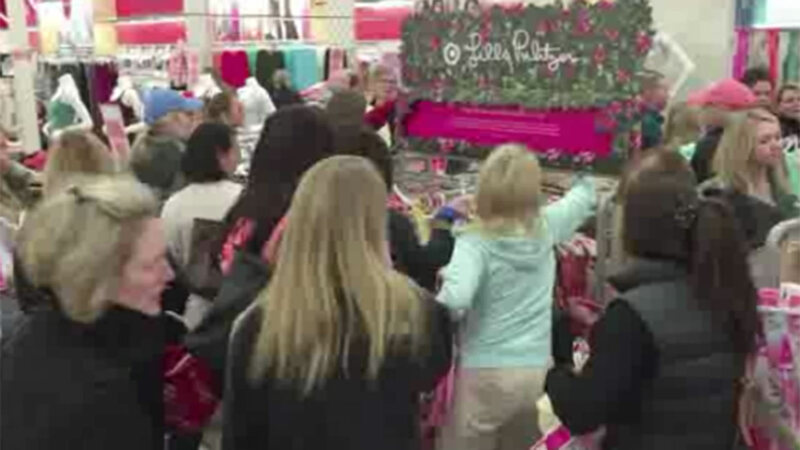 MINNEAPOLIS, MN -- Huge demand for the Lilly Pulitzer for Target collection has overwhelmed the Minneapolis retailer's website. Many Lilly Pulitzer fans who stayed up to buy pieces from the limited-edition collection were greeted with website issues on Target.com early Sunday morning. Customers then learned that most items had already sold out online. The Star Tribune reports many Target stores sold out of the collection within minutes of their doors opening at 8 a.m. Sunday. Target spokesman Joshua Thomas says the website did not crash, but the retailer had to take steps to manage the site due to overwhelming traffic. That included allowing only some customers access to the site at certain times. At one point, Target made the site inaccessible for about 15 minutes so it could grapple with the traffic.